It seems as though not a week goes by that a black person isn’t killed by a cop. 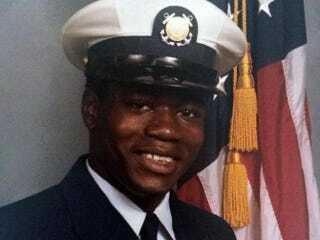 On Tuesday night, Walter L. Scott was the latest victim to die after being shot multiple times by North Charleston, S.C., Police Officer Michael Slager. Slager, who alleges that Scott was pulled over for a broken taillight, is now behind bars facing murder charges. But if it wasn’t for an anonymous person filming the incident on his cellphone, who knows what might have been the outcome? Well, I’m quite sure you can figure that out. Slager already stated in his apparently falsified police report that he felt threatened, so one can assume he would have gotten away with murder. People on social media are yet again outraged at the fact that yet another man has become a hashtag because he was killed by a police officer. Unfortunately, #WalterScott joins #EricGarner and countless other people who were not protected by those who serve them. The reactions on social media range from outrage to sympathy for Scott’s family, with some wondering what will it take for people to see that some cops are out to kill. It’s a shame that once again we have to question those who are hired to protect and serve. Maybe we need to hire someone to protect us from the police—since the government doesn’t seem to know how to accomplish that.